News of the World: No Weddings and a Funeral? The country of my birth is parodying itself. We’ve spun around the roundabout of funny and turned off directly into sad. The News of the World’s Pandora’s box is daily spilling out even fresher hells, so embarrassing in their corporate-journo-politico complicity that one could almost forgive Rupert Murdoch for burning a million emails worth of evidence — well, almost. Today, we learn that NOTW tried to hack Gordon Brown, Prince Charles, and 9/11 victims. Then they tried to buy the Queen’s phone number. In times like these, England rarely turns to the clergy. Which is just as well, because the Church of England holds $6 million in News International shares. Alright, so maybe it's still a bit funny. It's Mary Poppins and the Royal Wedding through a funhouse mirror. We’ve got the delightful image of Rebekah Brooks and David Cameron gallivanting on game ponies together on the Chipping Norton lawns. Bully! How and why? Well Mr. Brooks, the race-horse trainer: he and Dave were at Eton together. In fact, last Christmas the Camerons dined at chez Brooks in Oxfordshire with a few special guests, including James Murdoch. This just a few days after the PM got rid of that awfully uncouth regulator Vince Cable, who would have stood in the way of James’ dad’s BSkyB purchase. Cameron installed Jeremy Hunt, fellow Murdoch friend. Weddings and poolside parties not ‘Brideshead’ enough for you? Well, in 2008, Matthew Freud — son-in-law of Murdoch and great-grandson of Sigmund — picked up the Camerons on his private jet and flew them down to Santorini to mingle with Rupert on his yacht. With Billy Joel. And Rebekah Brooks. At least they didn’t pick up any Greek bonds as souvenirs. So what’s the big deal, we on the other side of the pond might ask — just throw the bums out! Unfortunately, as Oborne and Hitchens pointed out today, the recent hacking scandals barely scrape the surface of the chummy tangle that chains so much of the English power elite to this mess. In short, the other bums have been just as bum-ish — just as terrified, seduced, or both by the Murdoch clan. Labour has relied on News International for years, and their doyen Ed Milliband will soon give a speech-offering to News International execs at their annual conference — just like Blair did in 1997. So, with the police paid off, the politicians playing polo, the journalists poolside, and the clergy invested in News International, to whom can a nation turn? 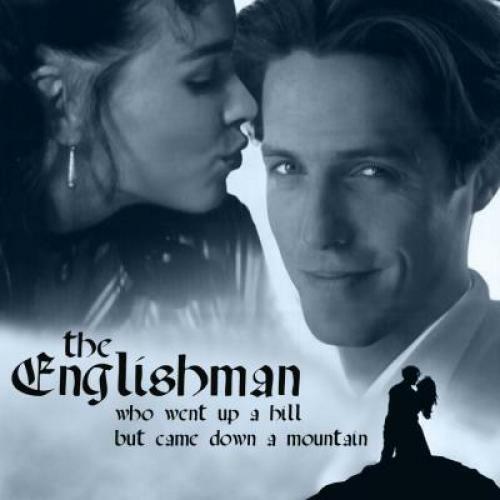 Why, Hugh Grant of course, stumbling his way charmingly into an awkward situation and making the best of it.